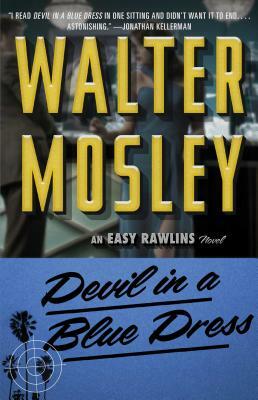 Devil in a Blue Dress, a defining novel in Walter Mosley’s bestselling Easy Rawlins mystery series, was adapted into a TriStar Pictures film starring Denzel Washington as Easy Rawlins and Don Cheadle as Mouse. Set in the late 1940s, in the African-American community of Watts, Los Angeles, Devil in a Blue Dress follows Easy Rawlins, a black war veteran just fired from his job at a defense plant. Easy is drinking in a friend's bar, wondering how he'll meet his mortgage, when a white man in a linen suit walks in, offering good money if Easy will simply locate Miss Daphne Monet, a blonde beauty known to frequent black jazz clubs. "A suspenseful novel of human detection more than simply a detective novel....[Mosley is] a talented author with something vital to say about the distance between the black and white worlds, and with a dramatic way to say it." "Richly atmospheric...Devil in a Blue Dress honors the hard-boiled tradition of Hamett/Chandler/Cain in its story line line and attitude, but Mosley takes us down some mean streets that his spiritual predecessors never could have...A fast moving, entertaining story written with impressive style. This kind of book that leaves you yearning to read more about Easy Rawlins' adventures." "The social commentary is sly, the dialogue is fabulous, the noir atmosphere so real you could touch it. A first novel? That what they say. Amazing. Smashing."